Here at The Vauxhall Repair Centre in Ilkeston, we understand how important your vehicle is in enabling you to carry out your day-to-day travelling. Our business is making sure you are able to carry out your business, when issues with your vehicle get in your way. The fully trained team at The Vauxhall Repair Centre are motivated by getting you moving again, and are pleased to use their extensive experience and wide ranging skills to make sure you have a hassle-free and commendable experience. No matter what the make or model of your vehicle, we can repair it to the highest standard. We can guarantee this high standard through our membership of the Alliance Service Network, which offers a nation-wide warranty on ALL work we carry out. 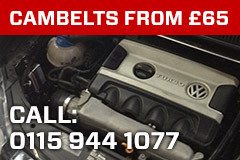 We even specialise in more major repairs of any make of vehicle, whether diesel or petrol, old or new! This includes chassis repairs, gearbox and engine reworks, completed by our fully skilled welding and repair experts. We even have a large fleet of courtesy cars, which we offer for free! 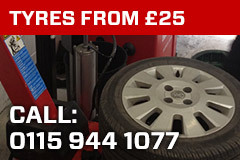 So give our team a call today for more information on our excellent range of vehicle repair services!